How long has 3D Machine Company been in business? Where is 3D Machine Company located? Can 3D Machine Company support Long-Term Purchasing Agreements and Just-In-Time delivery requirements? Is 3D Machine Company ISO 9001 and AS9100 Certified? Are your Purchase Order Clauses available to download? 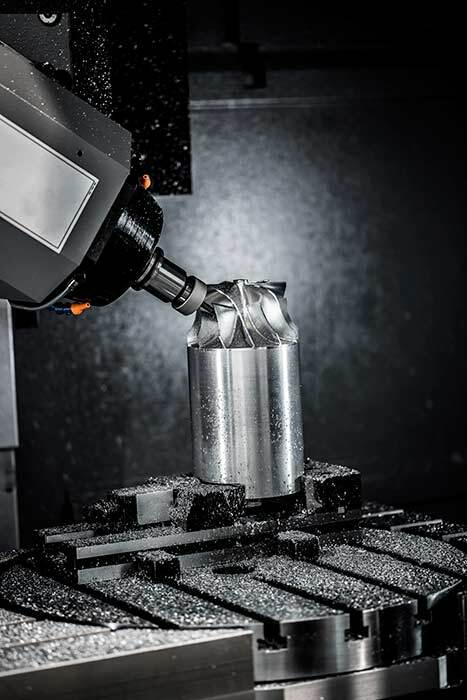 Can 3D Machine Company perform close-tolerance and complex, 5-axis machining? Does 3D Machine Company have CAD/CAM capabilities? Does 3D Machine Company use information management technology in its operations? Can 3D Machine Company handle parts with gears? Can 3D Machine Company offer manufacturing advice during the design phase of a project? How can I let you know what I think of your products and services? Does 3D Machine Company guarantee its products and services? Who do I contact to find out about doing business with 3D Machine Company? 3D Machine was founded in 1996 in Southern California and has been in continuous operation ever since. 3D Machine is located at 4790 East Wesley Drive, Anaheim, California, approximately thirty miles southeast of downtown Los Angeles. View our map on our Contact Us page. Yes. 3D Machine is setup handle JIT shipments in conjunction with our inventory services for long-term agreements. Contact us to learn about our whole array of contract and delivery options. Yes. 3D Machine Company is certified to ISO 9001 and AS9100 in accordance with the requirements of AS9104A. Visit our Downloads page to view and download our ISO/AS Certificate. Yes. Please visit our Downloads page to download and complete our Purchase Order Clauses. Absolutely. 3D Machine has a solid reputation for producing a wide variety of complex configurations, and we can hold lathe tolerances to ±.00015 and milling tolerances to .001 tru-position. We have extensive experience using an assortment of materials from plastic to aluminum to titanium to Inconel and more. Yes. 3D Machine uses three CAD/CAM systems – Surfcam®, Mastercam® and SolidWorks® – with the ability to translate all standard digital files and datasets, including CATIA. Yes. 3D Machine uses E2 ERP Shop Management Software from Shoptech™ to manage all aspects of our manufacturing operations. This advanced information system helps us to provide exceptional value and reliability for our customers. Yes. 3D Machine has extensive experience with gear features on machined parts, and we maintain excellent working relationships with several, top-quality local gear-cutting and -grinding suppliers. Yes. 3D Machine frequently works with customers during the design phase and offers a wealth of manufacturing expertise in order to “design in” the manufacturability of components and assemblies. 3D Machine Company is committed to outstanding customer service and continuous improvement, and we want to know how our customers view us. We have developed a simple questionnaire so you can let us know how we’re doing. Please visit our Downloads page to download and complete our Customer Feedback Form. We appreciate your input. Yes. All 3D Machine-produced products are guaranteed to be in strict compliance with all applicable drawing specifications and contract requirements. To find out what 3D Machine can do for you please call us at (714) 777-8985 or fill out the form on our Contact Us page.